I think the time has come for this, after a pretty fantastic Summer (hopefully more left in the tank) I'm sure thoughts are starting to turn towards winter for some. Autumn still to come too of course. Post your thoughts/predictions/ideas on the coming Winter season here. Ayyyyyyyy, I was waiting for this. Wondering when it was gonna start. 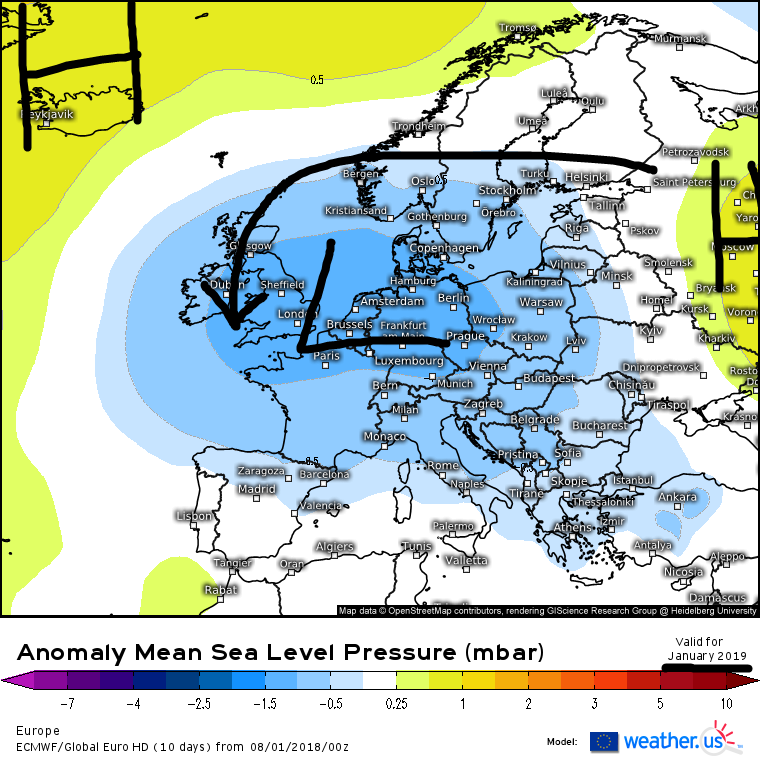 Well to start it off, we have a stonker of an ECM seasonal model update for August! Plenty of easterly and northerly incursions for October, November, January and February on it! I can almost smell the snow now. February looks exceptionally blocked. It better not be snowy for my birthday the one time I'm away when I'm off to New York! Bank these ECM charts please. This is my favourite thread of the year. I will be refreshing the page every hour usually from September onwards waiting for updates. Looking forward to seeing what this year will hold for us. I would be going for a mild wet winter like in 2011 after the previous years snowfall but the way the weather has been this year anything could happen. I do hope for cold, lots of frost and of course snow but not as much as February that was extreme even for me. Climbing out a window to clear the porch door was a new one for me. sryanbruen having his hands in all the pies with the sunspot and Enso threads is in a great position to guide us through the season. I look forward for his prediction for the season once we get the through the Autumn. Might 2018 be another 'Double Barrell' Snow year like 2010? I mean, its already a year that will be long remembered on these shores as being a year with a nearly a month long series of snow events, one being 1982 level then to be followed only 2 months later by my best Lightning Show since 1985 and followed in short order by a Summer to rival 1995!! I'm not a fan of Wind events so I hope Autumn 2018 is benign but roll on a White Christmas to cap off a year of incredible weather in Ireland! To have any one of those events in a given year in Ireland is notable, to have all three is incredible. Imagine that. ireland had distinct seasons this year!! Last edited by Calibos; 20-08-2018 at 09:46. I love seeing this thread every year. Last year's was epic! For obvious reasons. What do you see are the issues? And how are they going to play out? Replying to this here Danno as it's the Winter thread after all. First, let's look at the current state of the north Atlantic. This is the latest global sea surface temperature anomaly from NOAA for 16 August 2018. I have divided the North Atlantic into three because this is how we see if the profile is favourable to negative NAO which is the key to cold and snow in our country - though there can be cold and snowy months with positive NAO such as January 1984 but those kind of months are few and far between. The North Atlantic is in a positive NAO state with bands of cold-warm-average. 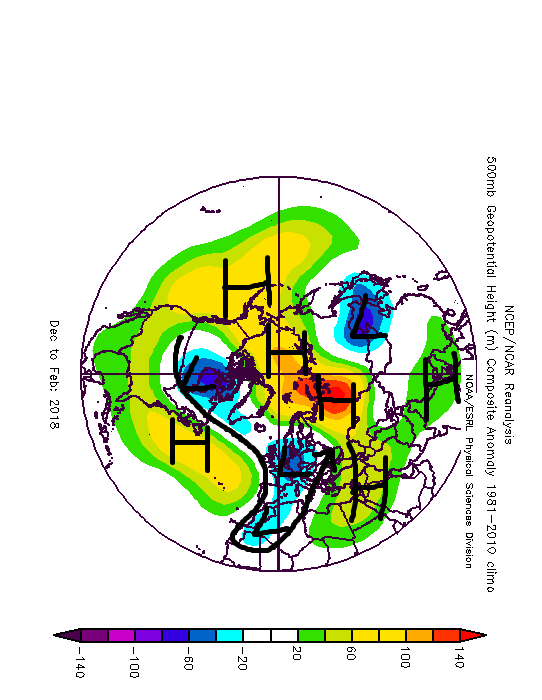 In May, this was cold generally though warm over to the eastern seaboard of America and the cold anomalies were in the shape of a horseshoe which led to the hot Summer as it promoted blocking over Scandinavia and from the Azores to us, 1976 featured a very similar profile. This is a clear sign of cold AMO. However, since May, the tropical Atlantic has warmed up significantly but still only average by this stage of August and the peak of the Atlantic hurricane season is just around the corner - usually mid September - so expect some hurricanes to form if the Atlantic continues to warm up and vertical wind shear dies down. If an El Nino does take off, do not expect this to happen as vertical wind shear continues to increase with El Nino which in turn leads to a decrease in hurricanes. Another thing I'd like to point out is the Norwegian Sea - notice the significantly warmer than average SSTs there. Very similar to last year! 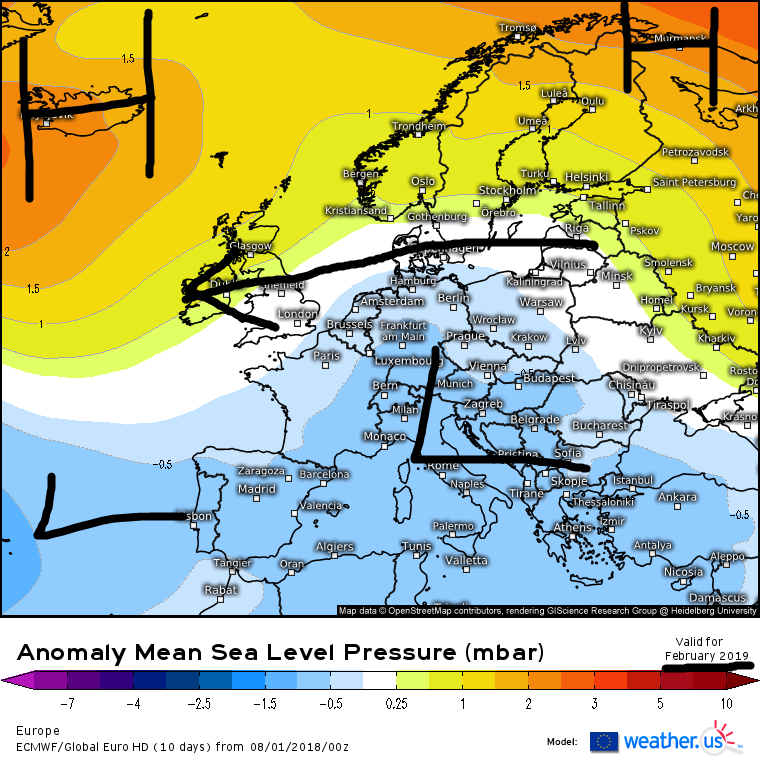 Now look at the 500mb height anomaly reanalysis for 2017-18, there was plenty of northern blocking there which we theorised last year there to be as a result of the state of the Norwegian Sea, similar to come this year? 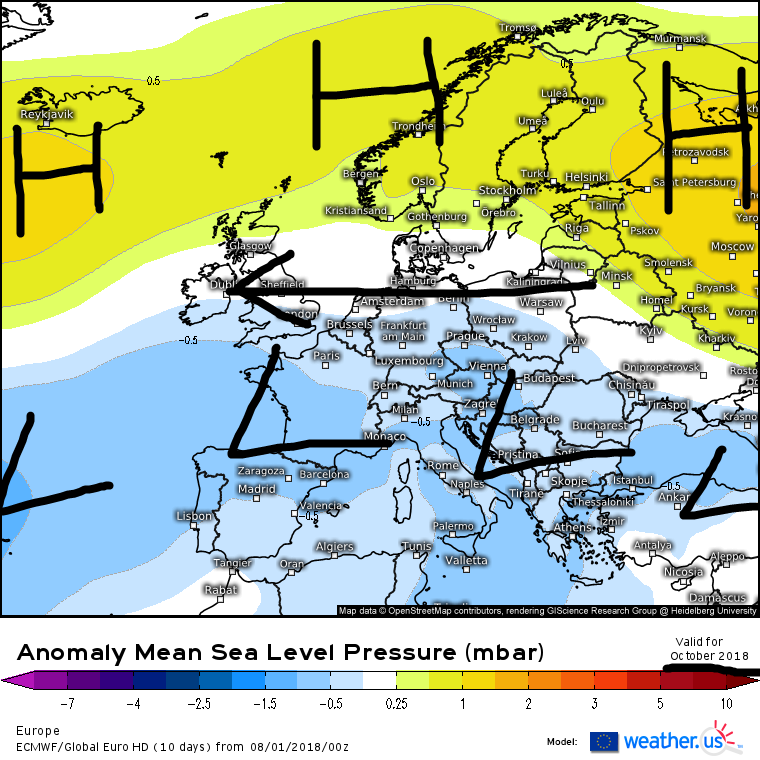 The NAO forecast from May was for positive NAO in Winter 2018-19 using the UK Met Office's methodology but don't think this is the be all because the Atlantic was in a positive NAO state in May 2009 which led to the UKMO forecasting a mild Winter for 2009-10 - see SST chart below for May 21st 2009. The Atlantic SST profile was in a big mess in May 2009. It didn't know what it wanted to do. ooh this thread, the excitement has started!! I racked up over 600 posts on my new account made in Feb (transfer from another) from the winter thread alone! Some interest lies in over Russia perhaps on the GFS 12z . Early to be seeing a Siberian High appear! September 2009 featured similar, just not as early as the above. Last edited by sryanbruen; 20-08-2018 at 18:42. Hopefully the Siberian high works in our favour, sometimes as you say Sryan, it can be our enemy. 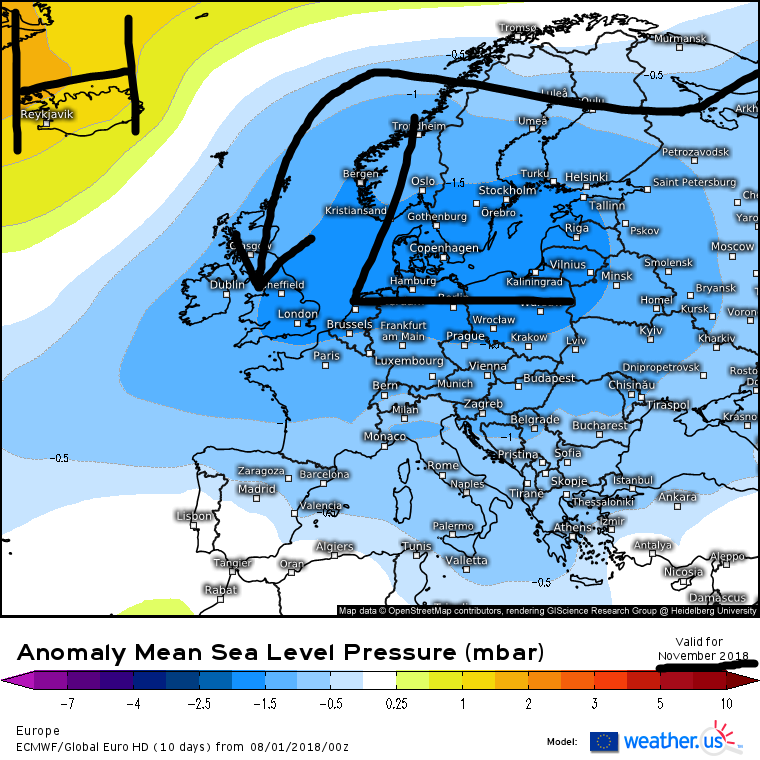 Would that Siberian high mean settled/fine weather for us ? Will it be snowing in Galway at 3:25pm on January 11th?